I haven't done a product review in a long long time... I used to do reviews more often on hazelnutt.onsugar.com. but on this new Hazelnutt House, I do more of craft entries. 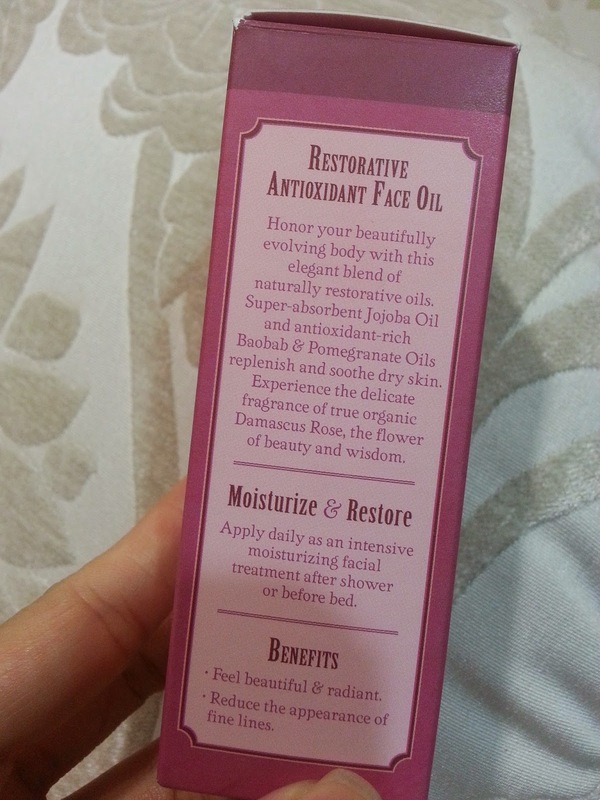 I have been using this Badger Damascus Rose Antioxidant Face Oil for a couple of months and I Love LOVE LOVE IT! So, I thought it deserves a good mention here on my blog. Here's just a quick overview of my skin. 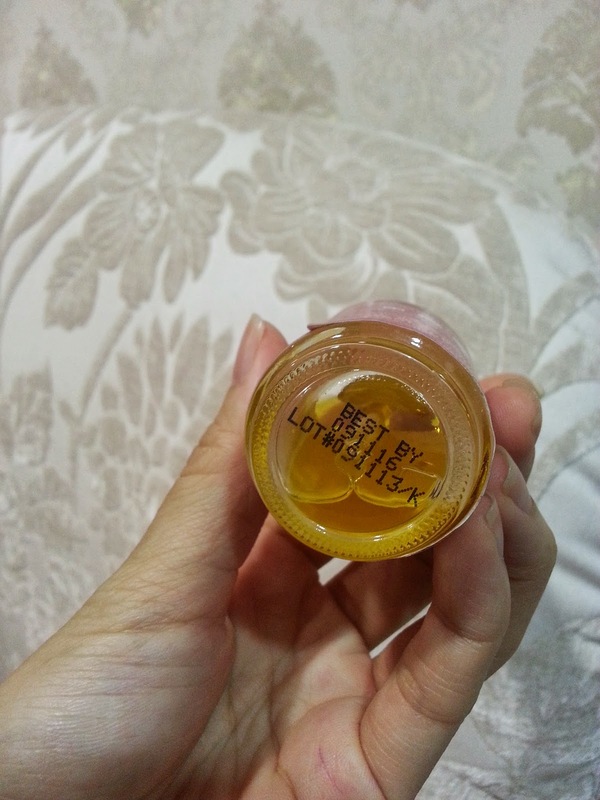 I have combination skin which tends to get oily around my T-zone. I am in my mid 30's and I have noticed that my skin is drier than before but still oily on the surface. This oil has a rich amber colour and has a semi-thick consistency. It smells great with its mix of rose, lavender and chamomile oils. Currently, for my night time skincare routine, I have been using one spa water and one pump of this oil. First, I mist my face with Vichy Spa Water to allow more slip as I rub the oil into my skin. It takes awhile for the oil to be absorbed, but when the oil is eventually absorbed into my skin, my face didn't look or feel greasy. There is still traces of shine, but it didn't feel like an oil slick. Unlike the Kiehl's Midnight Recovery Concentrate which seemed to sit on my face and didn't do anything different for my skin. I followed the 'pressing' in method that the Kiehl's staff recommended but it just didn't work for me. 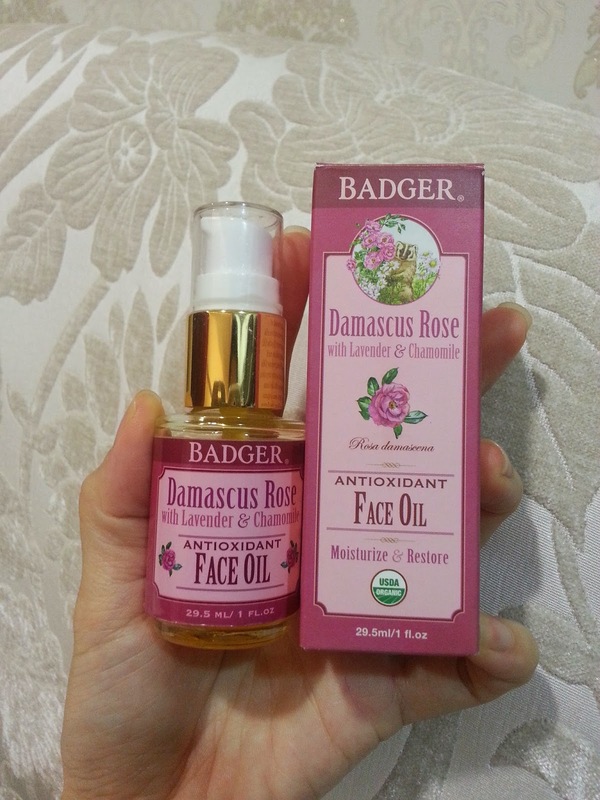 With this Badger face oil, it absorbs well and I wake up to soft 'plump' skin. The drier areas e.g. my cheekbones don't feel that dry and tight anymore. I can't say that the difference is life changing or remarkably obvious but it is something that I noticed after having used this oil for about two months. Despite the high concentrations of pure oils in this product, I feel that my skin feels less oily and more hydrated with use. 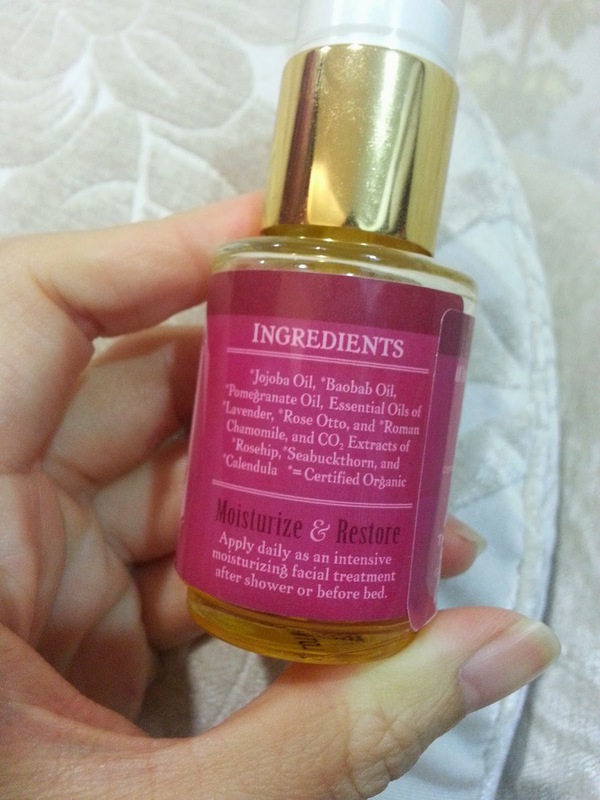 I guess my skin has learned not to overproduce sebum since the face oil helps my skin to achieve a balanced state.